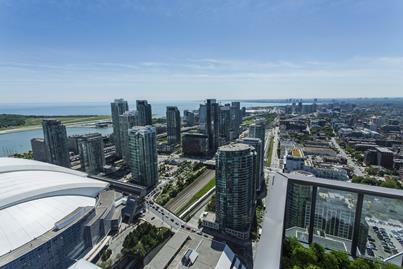 Ontario played host to the 10 most vibrant seller’s markets in the country last month, according to fresh data from the Canadian Real Estate Association (CREA). Cambridge pulled ahead of the pack in October with the highest sales-to-new listings ratio in Canada at 103.73 per cent. The average price of homes in the city stood at $411,743 last month. Local real estate professionals argued that much of Cambridge’s strength stems from the continuous price growth in Toronto. “It’s a perfect storm right now, because GTA buyers are getting absolute top dollars for their homes [and] gas prices are low, so it just makes sense for commuters that might be looking somewhere in the outskirts of the GTA… to look a little bit further down the road and their money goes a lot further,” Karlis Bite told BuzzBuzzNews. Other Ontario cities in the Canadian top 10 included Guelph and Woodstock-Ingersoll (both with ratios in the 90-per-cent range), along with Northhumberland Hills, Kitchener-Waterloo, Kawartha Lakes, Oakville-Milton, Hamilton Burlington, Niagara Falls-Fort Erie, and Welland (all with sales-to-new-listings ratios above 80 per cent). On the other end of the scale, 9 of the 10 cities with the lowest ratios in October are found in the Prairies, with Thompson, Manitoba hovering just a little over a record-low 12.5 per cent.